Almost the whole world knows that Central Nepal at the moment is in the mode of rebuilding and rennovation due the devastating earthquake that took place on April 25, 2015. The rebuilding campaign is in effect mainly in the earthquake affected districts like Gorkha, Dhading, Kathmandu, Kavrepalanchok, Sindhupalchok and Dolakha. The school buildings, the health posts and the houses of the people are gradually being constructed. And we, the people of Kavrepalanchok districts are trying to open a new health post in Thulo Parsel, Timal which is the center for many villages in Timal area of Kavrepalanchok. All the pious people, who trust in the goodness of service to humanity, we appeal for your support in accomplishing this holy campaign. International donations are processed through Palsang Tamang’s business, Himalayan Vacation Treks and Expedition. After the completion of the building and the opening of the government-staffed health post, the people in the Timal area of Kavrepalanchok will be safe from untimely death and will get treatment for disease. 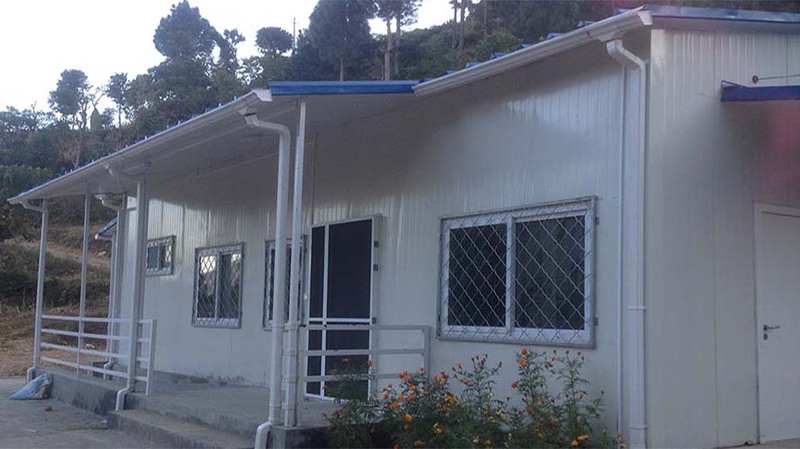 They will not have to rush down the rough jeep trek in emergency for 3 hours to the hospital in Dhulikhel which is about 40 km from the Timal area.The Health Post Building has been built and ready to provide services to the people. However, we have financial problem to pay for the land of Health Post Building. Now , we are looking for the support of health equipments from the donors. Even now , we have shortage of health worker, nurses and doctors. If anyone who wants to be associated with a divine social work can contact Himalayan Vacation treks and Expedition office Mr,Palsang Tamang (president) Himalayan Vacation Treks and Expedition have been involving in this social work from 2004 to now. We expect volunteer service from you to be involved in noble work of the people of privileged community Thulo Parsel , Temal area.